Impressed by the beauty of the metamorphic rock from Saualpe, Austria , René-Just Haüy (1743–1822) created the name “eclogite” (the chosen rock), which he derived from the Greek word εκλογή (choice). The name, eclogite, was used for the first time in 1822 in the second edition of Haüy's famous book, “Traité de mineralogie”. The first “scientific” description, however, dates back to the second half of the 18th century, when Horace-Bénédict de Saussure (1740–1799) indicated a “beautiful rock that is not described yet” from the Rhone valley in his “Voyages dans les Alpes”. In the 20th century eclogite became accepted as a high-pressure metamorphic rock and in the mid nineteen eighties metamorphic coesite (later also diamond) was discovered in eclogite facies rocks. This generated numerous new research projects with enormous implications for petrology, geodynamics, global tectonics, seismology, and geochemical recycling. 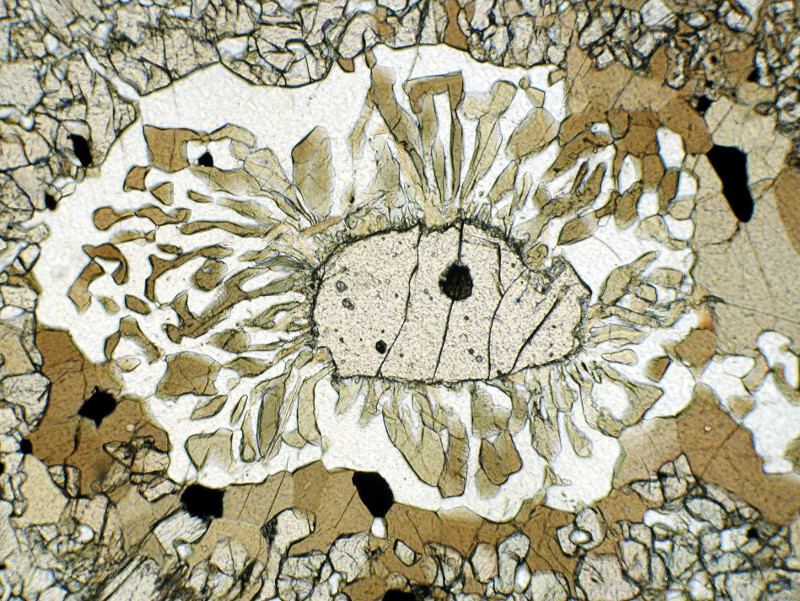 A dramatic increase of studies in the field of high-pressure metamorphism, including those on natural samples, high-pressure experiments, and computer modelling, led in 1981 to organization of the first International Eclogite Conference (IEC). This first meeting was very successful, and since then the IEC has represented an important event of international reputation. In the past, the IEC was held every 4 years, and irregularly in between, "International Eclogite Field Symposia” were organized. At the beginning of the 21st century, it turned out that the tenor of both the IEC´s and the International Eclogite Field Symposia converged more and more. Consequently, during the business meeting of the International Eclogite Conference Co-ordinating Committee (IECCC) in Seggau, Graz (Austria) in 2007, it was decided that, beginning with IEC-8 in Xining (China), the meetings should take place every two years as IEC´s (thus the former Eclogite Field Symposia were replaced by IEC´s). The last Eclogite Field Symposium took place between June 29th and July 6th in Glasgow, Scotland, and was organized by Simon Cuthbert and Craig Storey.